Tooley's Boatyard, Banbury: How is your bottom! When was the last time you blacked your hull? Do you know what is on your hull? 1 Bitumen - this probably the most common hull blacking. If you cannot find out what is on your hull then you are probably safest going with this as it is oil based and will go over all other blackings. However, bitumen will dissolve in oil and diesel so it is not the best product. A boat with bitumen should really be blacked every 2 - 3 years. 2. Coal Tar - this is better than bitumen. It is coal based. It will go over epoxy but not tar. It is resistant to oil and diesel. A boat with coal tar should be blacked every 2 - 4 years. 3 Epoxy - There are different types and the most expensive is considered to be the best because it lasts longer. It will not go over bitumen or coal tar. You need to know what was on before as different epoxys are not always compatible. They say that boats with epoxy can be left for up to 8 years. We would recommend docking the boat half way to check the hull condition. If you have any questions about your hull coating then please contact us, as it is very important to know what hull blacking you have, and also to know that the boat has been prepped and blacked correctly - as it can come off if done incorrectly! Also at the moment we doing a deal on hull blackings in November and December. 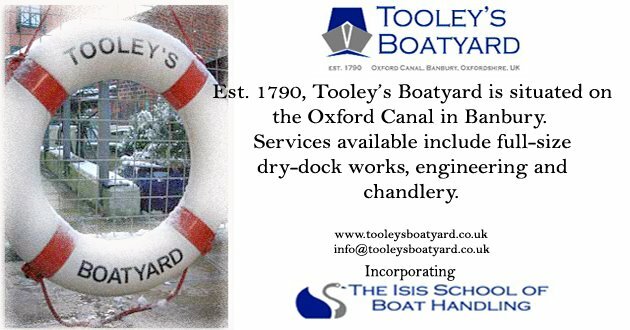 Email us at info@tooleysboatyard.co.uk for further details.